Last Friday PiS decided to go all-in in its quest for total and unrestrained control. It crossed the line by illegally passing the budget for next year and voting outside of the main chamber of the Parliament. It was not the first time that PIS broke all major rules of parliamentary regulations and excluded the opposition. We have already seen it before (pushing relentlessly through the Parliament all laws on the Constitutional Tribunal with voting often scheduled in the wee hours). Yet, this time it was different as the disdain for the opposition and blatant manipulation of the legislative process brought the pent-up emotions to the boiling point. The protests spelt over onto the streets of Warsaw and other major cities in Poland. The civic society has spoken for the first time since PIS was voted back into power last October. The powerful "No" to the politics of dividing people and sowing the hatred and distrust was heard all over Poland. Spirit of the old solidarity and of constitutional moment was clearly in the air. Something constitutionally significant has happened last week and time can only tell how to build on this huge positive energy as we move forward. Today, the President of the Constitutional Tribunal, Andrzej Rzepliński, is ending his term, after 9 years as judge and 6 as president, and after 12 months of indefatigable resistance at great personal and professional cost, leaving the court to a fate uncertain at best. This is the right time to look back on these 12 months of constitutional debacle, seek out connection(s) between the past and the present and anticipate what the future might hold. During the last week of November 2016 the Polish Parliament was very busy in its tireless mission of “fixing” the Tribunal. First, on November 4th, the “Law on the status of judges” was adopted. Among other things, it imposes a duty on the President of the Tribunal to assign cases to judges who have been sworn in by the President of the Republic. This is yet another attempt to force three judges elected unconstitutionally by PiS in December 2015, thus giving PiS long-coveted full control over the Tribunal (at the same time, three judges constitutionally elected by the old Sejm have never been sworn in by the President (see my analysis here and here). President Andrzej Rzepliński has been steadfast (he might have caved in at one point, though, by assigning these judges rooms in the Tribunal’s building) in his refusal to allow them to the bench, pointing out that they were elected when there was no vacancy. The Law of November 4th will put and end to that, thereby making sure that next President of the Tribunal will come from the list of judges elected by PiS and that the three judges elected unconstitutionally in December 2015 will be on the bench when the Tribunal decides on the constitutionality of this law. Second, on 30 November 2016, the Parliament adopted the “Law on the organisation and the procedure before the Constitutional Tribunal”. The new Law states that the General Assembly of the Tribunal is composed of the judges sworn in by the President – yet another nod to the “fake” judges. This is important because President Rzepliński steps down on 19 December 2016 and the General Assembly decides on the list of candidates for his successor for President Duda to chose from. The Law of 30 November 2016 obliges the General Assembly of the Tribunal to present the candidates to the President of the Republic within 30 days of the entry into force of the Law. All judges who get 5 votes are eligible to be presented to the President for consideration. The new Law stipulates further that in the period running from the day on which the office of the President falls vacant to the day of election of a new President, the judge with the longest seniority in office will be performing the functions of the “interim President” of the Tribunal. It is important that seniority in office is calculated not on the basis of the number of years spent on the constitutional bench, but rather on the basis of the number of years spent as a judge of the Tribunal, a judge of an ordinary court and working for the central state authorities. Such peculiar, and unheard of, way of counting the seniority is not accidental. It makes one and only one clear favourite to take over the Tribunal once the President Rzepliński steps down – the PiS-backed Judge Julia Przyłębska (notorious for her persistent torpedoing the General Assembly of the Tribunal by submitting a leave of absence from a doctor and most recently exposed as the judge who got crashingly negative opinion from the General Assembly of the Regional Court in Poznan in 2001; for the latest revelations on Judge Przylebska’s embarrassing lack of qualifications see here and here) has the longest seniority and she will run the Court starting on December 20th. Acting in accordance with the Law on the Tribunal of July 22nd 2016 President Rzepliński convened the General Assembly of the Tribunal to elect the new President of the Tribunal. Faced with the blatant obstruction from the three PiS judges, the judges present at the General Assembly nonetheless decided to vote and proposed judges Marek Zubík, Piotr Tuleja and Stanisław Rymar as candidates for President of the Tribunal. Shortly after the vote, President Duda has declared that he would not accept these candidates and asked for a new list, this time constitutional (in his own understanding of the word “constitutional”). The third of the laws aimed at debilitating the Tribunal for good is called “Law on introducing the Law on the status of the judges and on the organisation and procedure before the Tribunal”. PiS has been clearly learning from the past and now foreclosed any avenues of judicial self-defence. It makes sure that the three “fake” judges will be finally allowed on the bench and prevents the Tribunal from adjudicating without their participation (as it did in March and August 2016). The new Law stipulates that it will enter into force without vacatio legis as soon as the President of the Republic signs it. Just in case however, should the General Assembly somehow manage to elect candidates for President and Vice-President before “fake” judges take their office, the new Law retroactively invalidates “all actions and acts performed before the new law has entered into force”. Amidst all this legislative scheming and legal manipulation, constitutional essentials are often lost and forgotten. These essentials are the following. As of now, we have 12 judges (9 “old” judges + 3 ”new" judges elected by PiS since October 2015) with three judges elected constitutionally by the old Sejm still not sworn in by the President of the Republic. His refusal makes it impossible for these three validly elected judges to start performing their constitutional duties. No matter how hard PiS tries to force their judges on the seats (and it will succeed in this unconstitutional attempt very soon), constitutional essentials must never stop reverberating as we try to move forward. The persistence with which the Tribunal has thwarted in 2015 and 2016 the unconstitutional attempts by PiS to pack, and disable, the court, recall Martin Shapiro’s argument about the consequences of the choice made by the constitution-makers to resort to a court as a conflict resolver. Such a choice entails the acceptance of “the inherent characteristics, practices, strengths and weaknesses of that institution … and some law making by courts and a certain capacity for judicial self-defence of its law making activity. The issue of whether such law making and self-defence are somehow antidemocratic or antimajoritarian is uninteresting. If the demos chooses the institution, it chooses the judicial law making and judicial self-defence”. His proposition may be applied to the Polish case. In 2015 and 2016 the Tribunal has been defending itself against attacks by the political power on its institutional status and judicial independence. What started as “court-packing” soon transformed into an all-out attack on the judicial review and checks and balances. The attack has been unprecedented in scope, efficiency and intensity. The attack on the Tribunal has never been premised on a dissatisfaction with the overall performance or particular acts of the Tribunal, but rather struck at its very existence. We are not dealing with some hasty decisions of the majority, as a result of transient dissatisfaction with the Tribunal’s case law. If this were the case, we would not have reason to sound the alarm: political tinkering with unwanted decisions by constitutional courts happens all the time and everywhere. This forms part of a larger and more sophisticated plan aimed at debilitating possible pockets of resistance and independence, curbing democracy, the rule of law and the division of powers. The recent deluge of acts (above) allegedly aimed at fixing the Tribunal only corroborate this. All share one common trait: disable the judicial review, humiliate and discredit the sitting judges and make sure that next bench will be fully controlled by the executive. Polish political power realises all too well, that “where there is nothing to counterbalance the power of the majority except the Constitutional Tribunal and where majoritarianism is mistakenly identified as democracy, the evolution of cabinet dictatorship is inevitable”. We should stop believing that President Duda will step in and restore constitutionality and save the Tribunal from slow demise. He is a part of, not the solution to the problem. Together with his party, he has been actively participating in gradual disablement of the constitutional review, despite clear obligations that the Constitution imposes on him. In 2015 the Tribunal held it unconstitutional to condition the start of the term of office of the judges on the taking of an oath by the President. The Tribunal clarified that the 9-year term of office starts on the day on which the Sejm selects judges, and not on the day of the oath. The Tribunal argued that accepting the latter interpretation would again involve the President in the process of selection of constitutional judges, whereas the Constitution clearly vests the power of selecting the judges in the Sejm. As pointed out by the Tribunal, in accordance with well-established practice, all State authorities in Poland have so far assumed that the 9-year term of office commences on the day when a judge of the Tribunal has been selected by vote in the Sejm (possibly a later date if the election process takes place before the vacancy occurs). But not on the day the judge takes the oath of office. If commencement of the term of office, as regards a judge of the Tribunal selected by the Sejm, were contingent on taking the oath of office, this would entail that term of office commencing after a certain delay, as well as meaning that the President of Poland would indirectly be involved in the procedure for selecting judges of the Constitutional Tribunal, even though the Constitution provides only for the Sejm’s participation in that procedure. The election of three judges by PiS dominated Sejm in December 2015 was a matter of pure fact and devoid of any constitutional significance, as there were no vacancies on the Tribunal as a matter of law (the Constitution states that the “Tribunal consists of 15 judges”). Despite this authoritative interpretation, President did nothing. With his usual poker face, he fell in line with the master narrative of his party to pack the court at all costs. There remains the more general question of publication of the judgments delivered by the Tribunal. According to Article 190(2) of the Constitution, rulings of the Tribunal are to be immediately published in the official publication in which the original normative act was promulgated. The Tribunal’s case law of 2016 confirmed that all judgments must be published, as required by the Constitution. Yet, the Government has persistently refused to publish judgments, claiming that they were vitiated by the procedural errors and lacked legal basis. The new set of laws (above) confirms that the judgments of March and August 2016 will not be published. The unconditional publication of the Tribunal’s judgments between March 10th 2016 and June 30th 2016 was also found by the Venice Commission to be the condition sine qua non for any viable constitutional settlement. The Venice Commission regarded the refusal to publish the judgment of March 9th 2016 (case K 47/15) as contrary to the principle of the rule of law. For the Commission, such refusal constitutes an unprecedented move that further deepens the constitutional crisis. The publication of this judgment must be seen as a precondition for finding a way out of the crisis and, let’s be honest, it will never happen. On August 11th 2016, the Tribunal decided on the constitutional challenges to the Law of July 22nd 2016 (Case K 39/16). Separation of powers, judicial independence and effective functioning of the constitutional court were again key words informing the analysis, The Tribunal built on its previous unpublished (Case K 47/15) and unimplemented (K 34/15 and K 35/15) judgments. The Tribunal reiterated that its judgments must be published immediately in the shortest possible time. Government authorities have no discretion, but must publish all rulings of the Tribunal. A fortiori, the Tribunal criticised in the strongest possible words the practice of singling out rulings that will be published in the Journal of Laws and those that will not. The Sejm had reviewed individual rulings and decided that the judges in these rulings had acted ultra vires, justifying – in its view – the refusal to publish them, thus making the future publication of the Tribunal’s rulings dependent on the consent of the legislative branch. The Tribunal found this to be an inadmissible encroachment by the executive on the competences of the constitutional court, aiming at the stigmatisation of the judges who decided these cases. Such practice runs foul of the standards of a State governed by the rule of law (Rechtstaat) and is alien to the legal culture to which Republic of Poland belongs. The Tribunal was clear: all rulings are unconditionally binding and must be published. As for the vexatious problem of the Tribunal’s composition, the Order simply refers to the constitutional interpretation already given in the December 2015 judgments and calls on the State authorities to bring to an end the situation of disrespect of the Tribunal’s rulings. The Tribunal recalled: the legislature must not elect new judges for whom there is no vacancy. Forcing the President of the Tribunal to allow three judges elected by PiS would be unconstitutional and “incompatible with the judgments of the Tribunal which are binding on all State authorities, the Tribunal and its President included”. In December 2016 all these statements belong to the sphere of wishful thinking. We are back to drawing board. As of this writing, 17 judgments await publication. As evidenced by disrespect shown by PiS judges to the General Assembly, the (un)constitutional games are in full swing, with no end in sight. There is not much left in the Tribunal’s tank to defend itself. On 19 December 2016 President Rzepliński steps down. Given the complexity and comprehensiveness of the most recent court-packing scheme, there might be two persons who will claim the authority to take over as President –judge Julia Przyłębska in her new capacity as interim President in accordance with “the Law on the organisation and the procedure before the Tribunal” and “old” Vice-President Judge Stanisław Biernat. Right now, as it needs five judges to decide as panel, each camp could issue judgments, possibly contradicting one another. There is no doubt that Przyłębska will admit the three PiS judges to the bench, thus making it seven PiS judges and eight “old” judges. PiS judges will be in a position to block the General Assembly. Any future list of candidates for President and Vice-President will have to gain their approval. Mr Duda will appoint President of the Tribunal a person supported by PiS judges. With more “old” judges set to step down in June 2017, PiS will finally get the coveted majority on the bench. Methods used by PiS in 2016 (and thwarted by the Tribunal) to retroactively extinguish the terms of office of the President and Vice-President of the Tribunal open the way for unbridled interference with other bodies. It looks like the time has now come for Ombudsman and 2017 might as well see his office called into question. This has already started and no doubt attempts to unseat all holdovers from the past rotten regime will only intensify. Three judges elected by the old Sejm (then dominated by Civic Platform, now in opposition), and never sworn in by the President will never be able to assume their judicial duties. Three judges elected constitutionally by the old Sejm, and waiting in limbo to be sworn in by the President, will be passed over and PiS acting per fas et nefas will get its majority. The current political power in Poland is not responding to perceived imperfections by way of constitutional amendments (PiS does not have the required 2/3 majority to use the constitutional path and amend the Constitution). Rather, it has embarked on a constitutional revolution under the cloak of statutory revision and piecemeal tinkering. Schwartz has argued that the rise of the independent constitutional courts in Eastern Europe was remarkable and that these courts were ready to challenge and overturn important statutes, bills and regulations. He concluded that most of these courts “seem to have gotten away with it”. While the constitutional controversies “here and now” need solving, the long-term importance of these two judgments merits particular attention. The Tribunal stood up for the “balanced constitution” in which separation of powers is more than a mere fig leaf, and for limited government, both of which have a strong tradition in Polish constitutional thinking. “Courts that owe their existence to democratic institutional choice must act prudently, or the choice may be withdrawn”, and the Polish Constitutional Tribunal is no exception. On balance, its jurisprudence of 30 years respected the choices made by the principal or, using Shapiro’s words, the Tribunal acted prudently and built up credibility and legitimacy incomparably greater than that of other Polish public institutions. The recurrent themes that go beyond the cases at hand, and on which the judgments put great stock, are the rule of law, separation of powers and exclusiveness of constitutional review vested with the Tribunal. The judgments make perfectly clear that the Tribunal was fully aware of the critical juncture at which it found itself deciding these cases and fully understood the dangers inherent in the belief that the political will of the new majority could replace decisions of the constitutional court with constitutional monopoly of adjudication. Under this belief, moral doubts of the parliamentary majority would suffice to set aside law which was validly adopted and upheld by the court. It would be sheer power that dominates, with constitutional considerations relegated to the margin. So, unsurprisingly, the Tribunal stressed that in case of constitutional doubts, other branches of government are not to act freely, but must submit these doubts to the Tribunal for an authoritative interpretation. One may recall here the words of the US Supreme Court Justice Charles Evans Hughes “We are under a Constitution, but the Constitution is what the judges say it is”. The Polish version of this would be located on the other end of the spectrum and may be summed up: “We are all under the Constitution but the Constitution is what I, the Parliament, says it is”. The Tribunal has been saying all year long a clear “no” to such redrawing of constitutional lines. At the end of the line, though, sheer political power prevailed over constitutional essentials and the rule of law. Polish democracy faces a crisis that has more to do with the lack of constitutional culture rather than deficiencies of the constitutional text. The former should underpin all constitutional commitments and guarantee their enforcement. Without constitutional culture and entrenched respect for these commitments, the constitution is not worth the paper it is written on and this is the situation in Poland: the constitutional text remains unenforced since the institution called on to enforce it is openly defied. The present under-enforcement of the constitutional text and marginalisation of the Tribunal poses important questions about the future and shape of constitutional review in Poland and possible role of the European institutions in the constitutional crisis in Poland. What has been and still is most striking is how easy it has been to tear down the constitutional checks and balances and how few people (the events of last week might point towards the growing mobilization of the society, though) actually cared or even knew about it. This reveals a lack of constitutional culture rather than deficiencies of the constitutional text. The former should underpin all constitutional commitments and guarantee their enforcement. Without constitutional culture and entrenched respect for these commitments, the constitution is not worth the paper it is written on and this is the situation in Poland: the constitutional text remains unenforced since the institution called on to enforce it is openly defied. The present under-enforcement of the constitutional text and marginalisation of the Tribunal poses important questions about the future and shape of constitutional review in Poland. Last but not least: Art. 7 of the Treaty on the EU. Everything has been already said on the embarrassing throwing in the towel by the Commission on Poland. Here, I limit myself to one remark. Art. 7 has been reduced to a mere afterthought, decorum devoid of any practical significance. The Commission – an institution once proudly referred to as “the guardian of the Treaties” – saw its legitimacy and credibility in tatters. The lack of courage, vision and constitutional responsibility for enforcing member states’ commitments, make founding fathers of the European project turn in their graves now. The Commission clearly failed and made art. 7 a per non est. The once proud, strong and independent Polish Constitutional Tribunal and the rule of law are gone. It happened on the doorsteps of the EU and with EU’s passive and embarrassing acquiescence. Breaking the embarrassing silence by Donald Tusk on Saturday is too little and (and let’s hope not) too late. Looking back on these 12 months and trying to grasp, and connect, all the dots, one caveat seems to be pertinent here. The “politics of resentment” that engulf Europe are felt differently in different parts of the European continent. In Central and Eastern Europe, the EU law and Europeanisation provoke well-known criticisms of remoteness of Brussels with the resultant civic indifference, turn against the mainstream politics and the nostalgic return to the nation state. In the relatively homogenous societies of the the East “politics of resentment” did not have “the Other” to turn against and, as a result, “politics of resentment” fed off the “alienating constitutionalism”. The latter provided fertile ground for sweeping “politics of resentment”. The incessant pressure of Europeanisation and catching up with what was thought to be a superior Western standard provoked a backlash against the elite-driven and technocratic politics. Public discourse was dominated by strict legalism and top-down approach. People were relegated to the symbolic moment of casting the vote. There was almost an aura of inevitability of mainstream politics: the choice at the polls could be against a person (party) but never against the policies seen as non-negotiable itinerary to follow. “Politics of resentment” took advantage of the exclusion that defined alienating constitutionalism and transformed it into vindictive constitutionalism marked by gut-politics, emotions, revolt against the corrupt political elites and institutions. “Constitutional capture” followed. The predictable and stabilising liberal narrative of „in rule of law we trust” has been debunked by an emotional and unpredictable brand of politics. Constitutional capture is a generic and novel concept that poses a challenge for the EU by showing that liberalism and democracy no longer animates national constitutions, and yet it is required at the EU level, that illiberal states can flourish within the EU. “Constitutional capture” stands for a systemic weakening of checks and balances and entrenching power by making future changes in power difficult. Constitutional capture is all-encompassing. It transforms the concepts that were taken for granted and were part of the liberal narrative like rule of law, legality, separation of powers, independence of the judiciary, supremacy of the Constitution and the monopoly of constitutional review. We have seen all the concepts once thought of as fundamental, crumble in Poland A.D. 2016 as Polish government and Parliament have become masters in “constitutional capture” with the EU relegated to the role of a passive spectator. So, what is next? My answer is brutally short. There is no “next”. December 2016 is the end of the road for the Polish Constitutional Tribunal. 2017 in Poland will be the year during which “constitutional capture” will finally take the reins. M. Shapiro, The European Court of Justice: Of Institutions and Democracy, (1998) 32 Israel Law Review 3, at p. 24. A. Sajó, Limiting Government. An Introduction to Constitutionalism (Central European University Press, 1999), at p. 4. The budget of the Tribunal has been already severely cut, to the point that this year’s conference to commemorate the 30th Anniversary of the Tribunal has been cancelled. The follow-up to this is the most recent proposal that aims at divesting former and future judges of the retirement benefits in order to make the Tribunal “less byzantine” (sic!). H. Schwartz, The Struggle for Constitutional Justice in Post-Communist Europe (University of Chicago Press, 2000), at p. XI. Shapiro, op. cit. supra, at p. 30. For in-depth analysis see L. Garlicki, The experience of the Polish Constitutional Court, in W. Sadurski (ed. ), Constitutional Justice, East and West. Democratic Legitimacy and Constitutional Courts in Post-Communist Europe in a Comparative Perspective (Kluwer Law International, 2002), pp. 265-282. The relevant part of the judgment in K 34/15 reads: “The Tribunal has vital duties pertaining to safeguarding the supremacy of the Constitution, protecting human rights and freedoms as well as preserving the rule of law and the separation of powers”. This homogeneity and the fear of “the Other” (eg. the resistance of Central and Eastern Europe countries to accept immigration quotas) stands in stark contrast to Eastern Europe’s past marked by the diversity that was unparalleled in the rest of Europe. 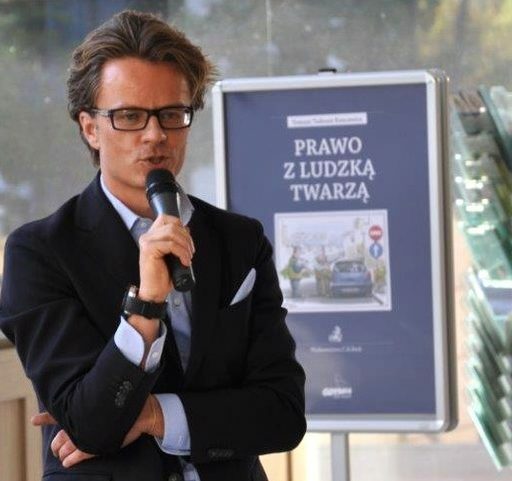 SUGGESTED CITATION Koncewicz, Tomasz Tadeusz: Constitutional Capture in Poland 2016 and Beyond: What is Next?, VerfBlog, 2016/12/19, https://verfassungsblog.de/constitutional-capture-in-poland-2016-and-beyond-what-is-next/, DOI: http://dx.doi.org/10.17176/20161219-171200 . Thank you for this clear but depressing analysis.